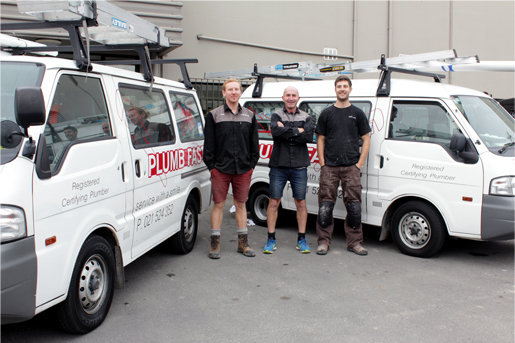 Plumbfast provides all your plumbing services for residential and commercial premises in Christchurch and North Canterbury. From new builds, traditional restorations and modern renovations to minor repairs and emergency services, we’ve got you covered! Founded in 2005 by Registered Certifying Plumber Glen Fifield, Plumb Fast Ltd boasts an excellent reputation for superior workmanship and customer service. At Plumbfast you’ll find qualified and experienced plumbers you can trust. Our qualified technicians are here to provide you with the skills and expertise you need for any plumbing job in Christchurch, no matter if it is big or small. We guarantee all our work and our aim is to always provide a helpful, friendly service for every job. We specialise in kitchens, bathrooms and maintenance, assisting you with all your plumbing requirements. We have the expertise, knowledge and experience to find the solution to meet your needs. Call us today to talk to our friendly and professional team to see how we can help you. We get the job done right the first time, every time and only use the finest quality products so you can rest easy knowing our repairs and will last. Trust us for your next plumbing job. Our team of dedicated plumbers are committed to doing a first-rate job every time. Our tradesmen and customer service staff are always friendly, professional, courteous and reliable. We source materials from leading suppliers to ensure our work is always of the highest standards. We provide you with all your plumbing services in and around Christchurch, when you need them the most. For qualified and experienced plumbers, contact us today. We can handle any job, big or small!